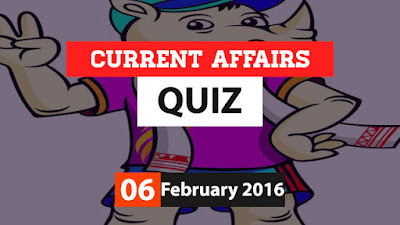 Hi Aspirants..Here is the Current Affairs Quiz for 6 February 2016. 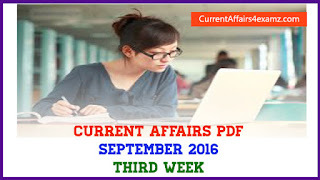 Our online quiz questions will be very useful for all upcoming exams. Attempt the quiz and share your score. 1) The 12th edition of South Asian Games (SAG) has begun on 5 February 2015 at? 2) Who was on 4 February 2016 chosen for the prestigious Bharat Ratna Pandit Bhimsen Joshi classical music award for 2015-2016? 3) Recently India officially became the Associate Member State of European Molecular Biology Organisation (EMBO). EMBO is headquartered at? 4) Mahindra Asset Management Company (AMC) on 4 February 2016 received _____ approval to manage the Mahindra Mutual Fund? 5) Union Ministry of Agriculture and Farmers Welfare on 5 February 2016 decided to set up the National Organic Farming Research Institute in which state? 6) International Cricket Council (ICC) Board on 3 February 2016 constituted Anti-Corruption Unit Oversight Group. Which former Indian captain was included as a member of the said committee? 7) Who won Sundance Institute Global Filmmaking Award 2016 on 30 January 2016 for her script of yet-to-be shot film Insha Allah? 8) Which Bollywood actor will feature in the World Health Organisation (WHO) diabetic awareness campaign? 9) Which private sector bank recently joined hands with Indian Railways to set up 1000 water purifiers on stations across the country by 2019? 10) Name the Official mascot of the 12th edition of South Asian Games (SAG) 2016?